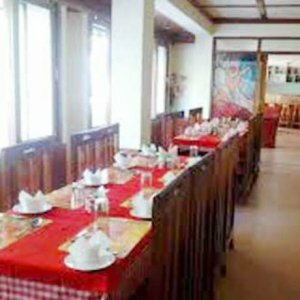 Hotel Annapurna a budget hotel in Gangtok, offering its guests utmost peace & tranquility. This budget hotel offers a comfortable stay in its spacious rooms. Guests are been offered with customary hotel facilities like 24 hour front desk for assistance & they can also avail room service by well-trained polite staff. Backup Generator, Travel Counter, Room Service, Airport Transportation, Currency Exchange, Doctor on Call, Laundry Facilities, Security Guard, Breakfast Services, Parking. Cable/Satellite TV, Wakeup Calls, Television Room, Attached Bathroom, Bottled Water in Room, Air Conditioning Room, Toothbrush/Razor on Request, Iron/Ironing Board, DVD Player, H/C Water. User reviews for "Annapurna Hotel Gangtok"